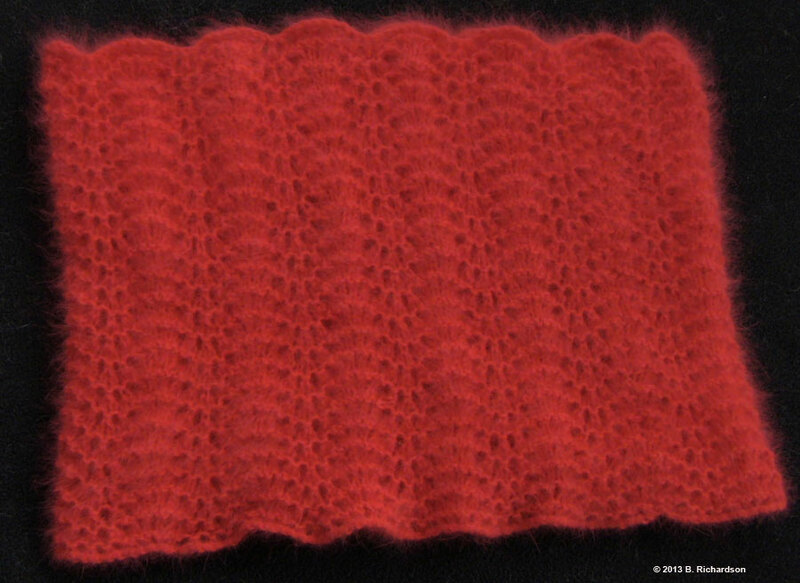 At long last, here is the second part of the Entrelac tutorials - Seamless Entrelac! Below you will find a printable guide that you can use to create your own seamless entrelac projects. There is also a video on the technique. This tutorial on seamless entrelac is intended for those knitters who already have an understanding of entrelac. If you need further instruction on entrelac basics, you can find my other tutorial HERE. Seamless Entrelac is really the same as when worked flat, except you don't need to knit the side triangles. This means, if you already have a grasp on entrelac, then working it in the round will be a snap. When starting, it looks as though you will be working flat, and you may wonder how it will turn into seamless entrelac. Your fabric will not be joined until you work the last Right Leaning Rectangle. 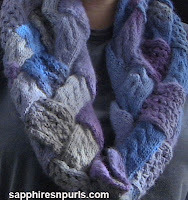 The photo above shows the Cables and Lace Entrelac Cowl. The pattern is available only on Craftsy. Click the picture below to go to Craftsy to purchase the pattern. 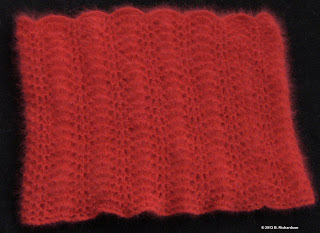 The lace stitch used in the cowl is Cat's Eye Lace, and the cable stitch is my own (although it is so simple, I am sure it has been done many times over by others). Click HERE to go to Scribd to download the tutorial if the embedded document below isn't working. Here is my latest pattern - another cowl! I purchased this yarn at The Memory Tree and Yarn Branch a few weeks ago. I couldn't think of any better way to use this yarn. It is soft, light and airy, but will keep your neck nice and warm. So soft and cuddly, it is just exquisite! I had fun knitting this cowl; the pattern is easy to remember, and after a few repeats you won't even need to look at the pattern. It also works up pretty quickly. This is perfect for the spring or fall, when the evenings are still chilly. Also great for those restaurants that like to crank up the AC in summer time! This is knit in the round in one piece, so there is no seaming. Just a few ends to weave in. You can check with your LYS for this yarn, or it is available at Jimmy Beans or WEBS online. This pattern is available for purchase only through my Craftsy store. Click on the picture below to be taken to Craftsy. You must be a member of Craftsy to purchase this pattern. Sign up is free, so if you aren't a member, I encourage you to sign up.